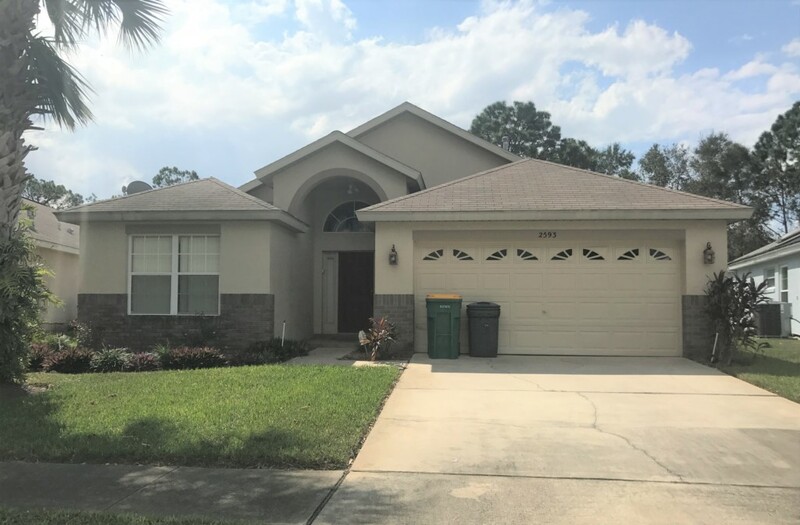 Indian Creek is an excellent location west of Disney in the sought after Formosa Gardens area of Kissimmee. 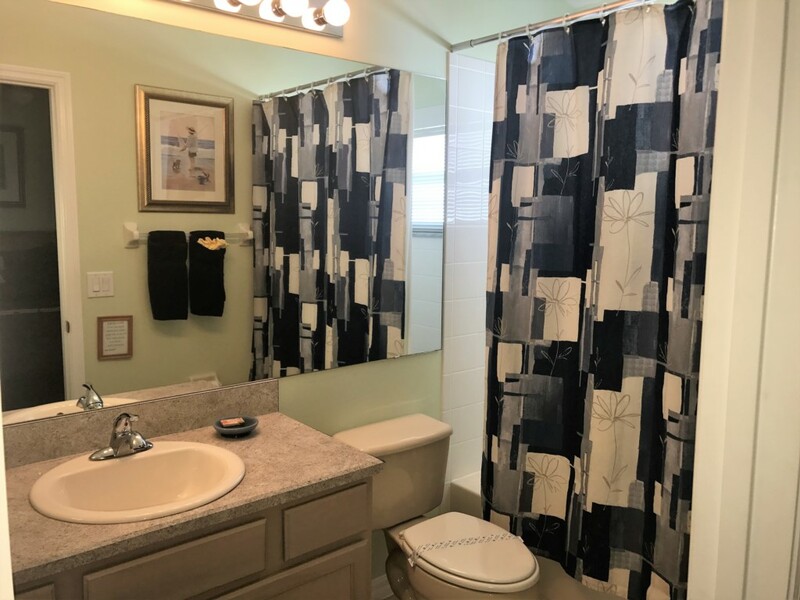 It`s a quiet spot away from the traffic of Hwy 192 but still very close to everything as Disney is only a 10 minute drive away. Likewise, you are able to drive to Universal Studios in about 25 minutes and Sea World in about 15 minutes. If the parks are not for you, there is a vast array of shopping malls in the Orlando outlet, including our world renowned outlets. The Atlantic coast beaches can be reached in about 45 minutes and gulf coast beaches are about 60 minutes away. The Orlando International airport is 25 minutes drive. 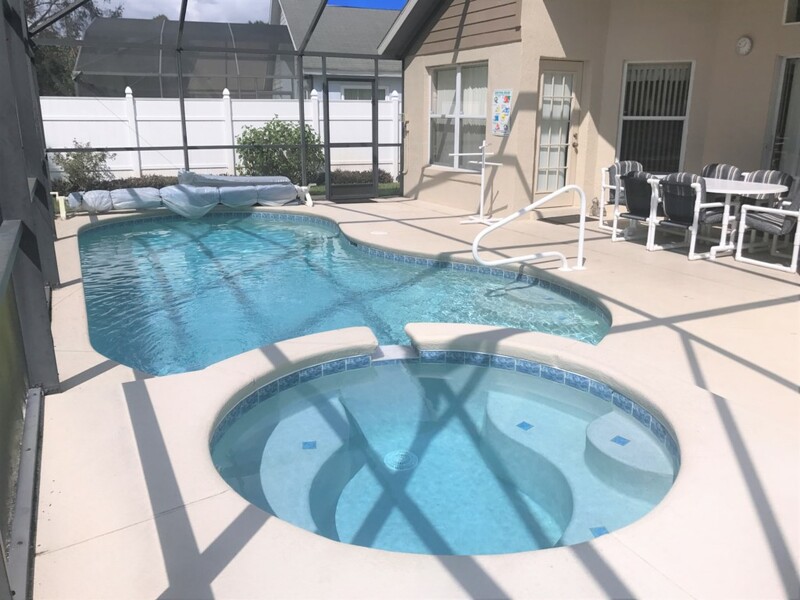 Indian Creek is an ideal community as it has a childrens play area, basketball court and tennis court available for guests to use. 5 minutes down the road, you will find a supermarket and a good selection of shops and restaurants. 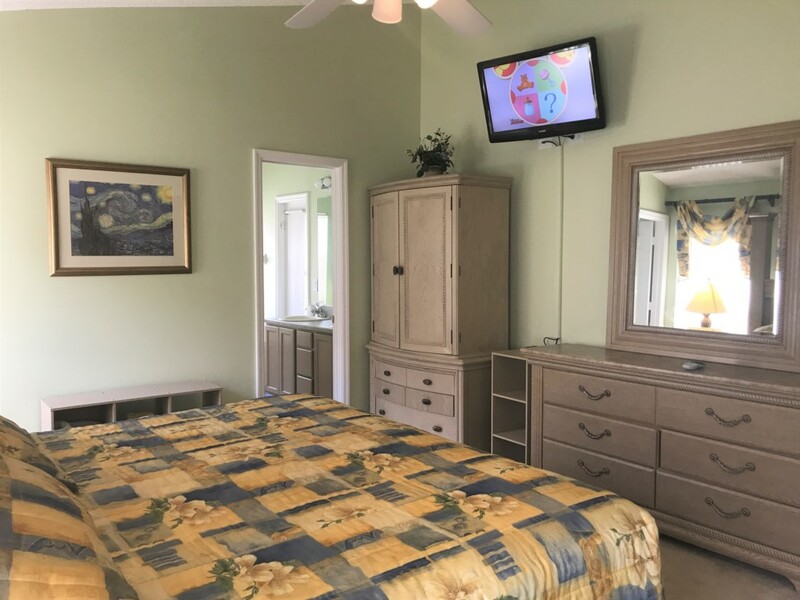 Our villa at Indian Creek is well equipped and furnished to a high standard, to provide all the comforts of home. It is fenced on either side for seclusion, and offers a view from the screened pool of conservation land - native trees and fauna. The pool area has a private deck with loungers for the sun lovers amongst you. 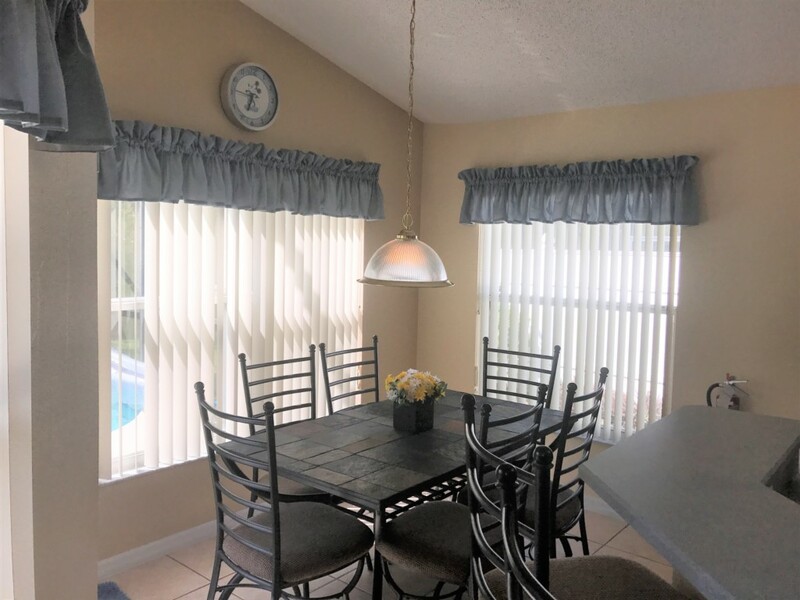 The covered lanai has a table with 6 chairs and offers shade if required. 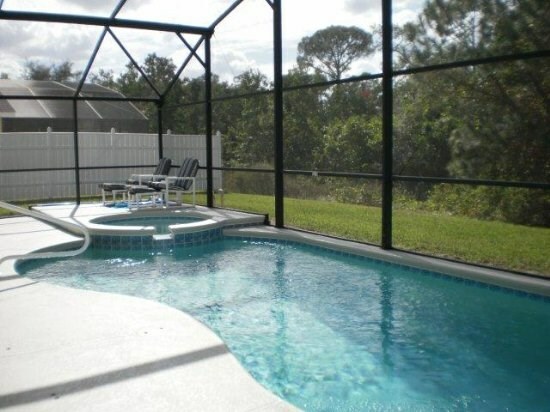 The villa has a west facing pool and has the added benefit of FREE solar pool heating. If additional heating is wanted, there is also a gas pool heater than could be switched on for a daily fee. The villa has a total of 4 bedrooms, 2 of which are master bedrooms. The first is a spacious king master with en-suite bathroom with separate bath and shower. 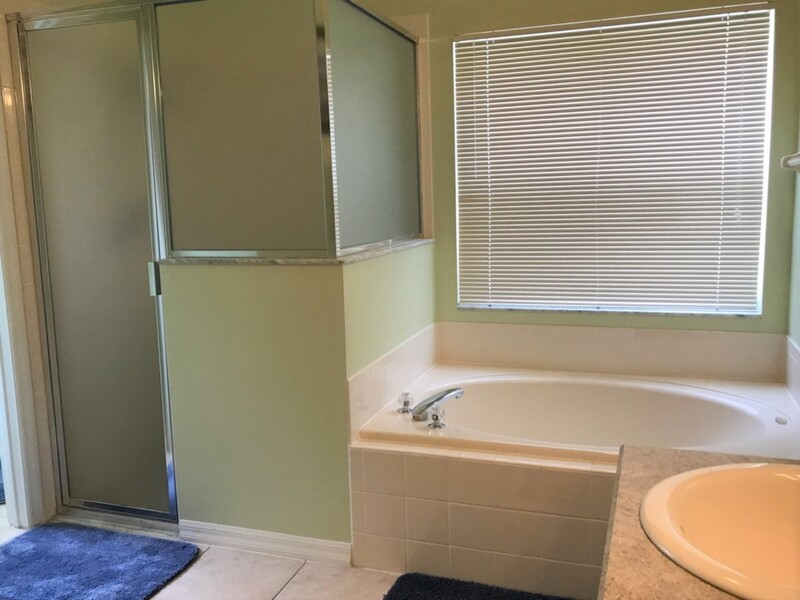 There is a door from the bathroom with access to the pool. The second master bedroom has a queen size bed and bath with shower over. 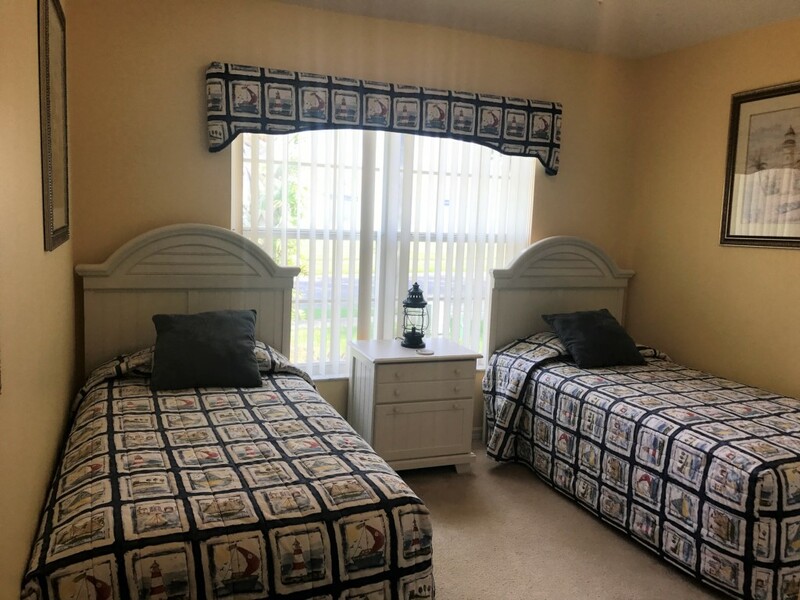 There are two further bedrooms with twin-size beds and shared bathroom. 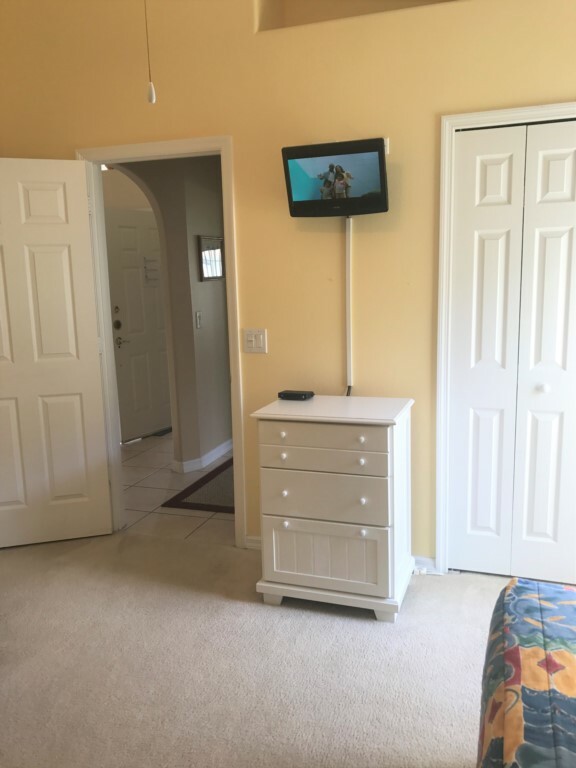 All bedrooms include televisions. The villa is tastefully decorated and furnished throughout to a high standard, and fully equipped including a kitchen with essentials such as utensils, microwave, oven, diswasher, fridge, plates, cups, etc.Likewise, linens and towels are also provided. 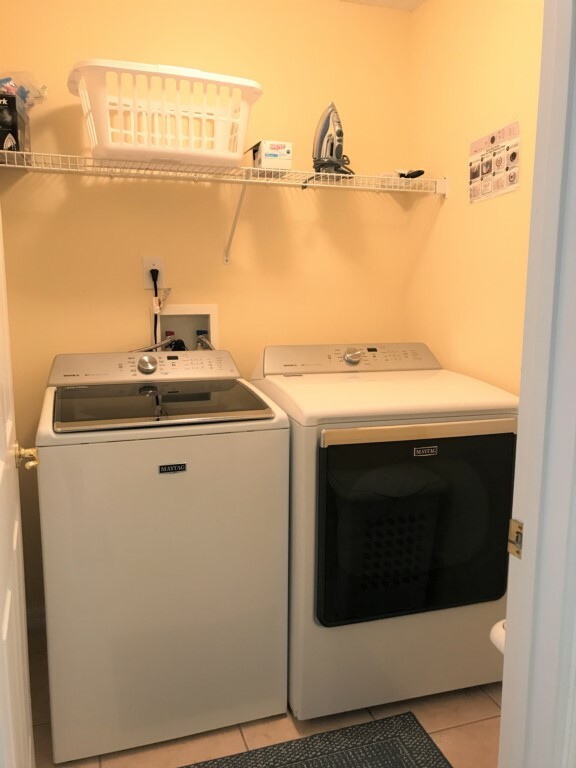 The house also has a washer drier and iron in the laundry room. Your children will be delighted to know that there is also a games room in the garage with a pool table, foosball table and ohter games. For the tiny little ones we offer a table and stools where they can sit and play with their toys so you can take a break and relax! 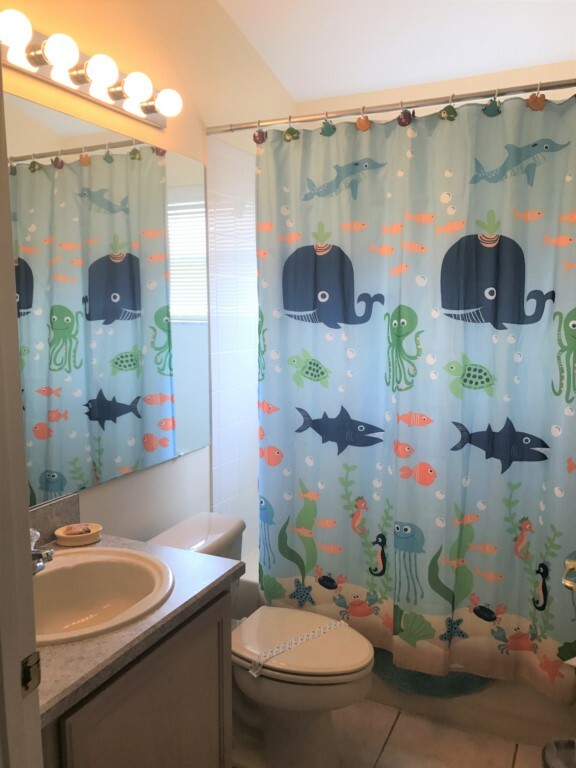 The house also has a pack n play, crib, and highchair for your use free of charge.There is a Blu-Ray disc player, a VCR and Game Station with several games. All local incoming and outgoing calls are free. International and national calls will require a calling card which can be bought in most stores. In the event of you need any assistance our local management company are always on hand. The office is opened daily Monday thru Friday and Saturday mornings but you will also be able to contact them out of hours in the event of anything more urgent. And last but not least, you will be happy to know that our villa has free Wi-Fi! We hope our villa will offer everything you need and look forward to welcoming you to stay for your memorable vacation. Everything was perfect. Loved the villa and also the layout. Couldn't have asked for more.